Endocrinologists specialize in diagnosing and treating glandular, hormonal and metabolic problems. If you’re living with diabetes, hypothyroidism, or struggling with a hormonal imbalance, an endocrinologist can develop a treatment plan to help you feel normal again. Dr. Fals provides compassionate, evidence-based, comprehensive care in endocrinology. She focuses on the care of patients with diabetes and thyroid disease, but also sees the entire spectrum of endocrine disorders. She cares for patients with disorders of the thyroid, parathyroids, pituitary, and adrenals and also sees patients for osteoporosis, metabolic bone disease, low testosterone, and obesity. 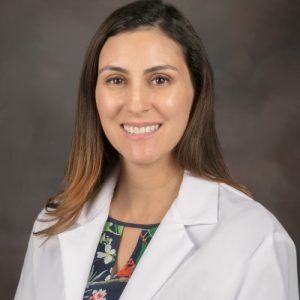 She utilizes the latest technology in insulin pumps and continuous glucose monitoring and performs thyroid ultrasounds and fine needle aspiration of thyroid nodules in the office. Dr. Fals is accepting new patients. Enter one or more fields to find the doctor that’s right for you. Search any criteria. PARDON OUR DUST! We're quickly making your Gessler website better!